The year 2017 – I call it out with the old and in with the new. Dale Storer has been the City Attorney for approximately 29 years and has decided to retire. Council Member Dan Garren and myself were not re-elected and will be stepping down on January 16th, 2018. Also, one of our police officers Dustin Mathie decided to leave and work for Jefferson County. We will miss him and wish him the best. That is the old and now for the new. Andrew Rawlings will now serve as the new City Attorney. Council President Dan Gubler was elected as the Mayor. Council Member Kathy McNamara was reelected and Michael Thompson was elected as a new Council Member. We wish them success. Because if they succeed the City of Iona will succeed! Anyway, I am here to discuss the State of the City but before we reflect on last year’s accomplishments, I would like to personally thank our City employees for all that they do; they are the ones in the trenches each day that makes Iona great. They are: Shara Roberts, Amy Sullivan, Zech Prouse, Bryce Stucki, Karl Bowcutt, and Dustin Mathie. Also, I would like to thank our P/Z Commission: Melanie Keyes, Dee Johnson, Jake Lindsey, Shane Harrigfeld, and Michael Thompson and all of the other committees and volunteers that make the City of Iona the wonderful place that it is. We also would like to recognize City Council Members: Dan Gubler, Rob Geray, Dan Garren, and Kathy McNamara for their time and service on behalf of the City of Iona. Calendar year 2017 we had 26 more homes built. 2017 we had 852 water connections. Our population is estimated to be at least 2,500 people. A $3.9 million water bond was passed to improve the water system now and for the future. 2017 our water usage was 338,692 million gallons used. Reduced by 43,5227,800 from 2016. That calculates to over 272 gallons of water per day per person. The nation’s average for a family of 4 is 500 gallons of water per day. Recent repairs to the water storage tank and the ongoing meter pit and main/service line leak detection surveys have contributed to increased water conservation resulting in a lower end of the year water production number. The Iona Police Department recorded the following numbers for 2017 – Calls for service (493), Arrests (80), Traffic Stops (621), Citations (247). The Department worked together with Bonneville County to ensure all officers were properly trained and certified in all annually required areas. Officers were also sent to specialized training tailored to support Iona’s specific need. The Department accumulated over $7,000 in grant money from the State of Idaho. This helped the Department pay for overtime hours during enforcement and DUI saturations. 20th Annual City Easter Egg Hunt with over 8,000 eggs hand stuffed. Arbor Day Celebration with new trees planted at Pioneer Park. The annual City Spring cleanup. Iona’s recreation program which included a variety of activities: basketball in the winter and in the summer T-ball, pitching machine, and girl’s softball. Monthly movies in the park during the summer. Purchase of a new dump truck and snow plow with sander. 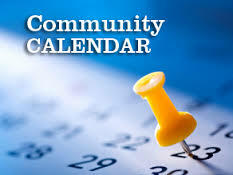 Support of community programs and committees such as the Library, the Tree Committee, Bonneville Art Association, and Iona Historical Society. The City building was scheduled 424 times in 2017, not counting non-profit group use of the building. The Iona Square was scheduled for events 570 times in 2017. Mayor’s Youth Advisory Council (MYAC) which includes not only Iona youth, but anyone that goes or lives in School District #93. The MYAC Mission is: service, advisory, and to build and teach leadership skills to the youth. MYAC did many acts of service for the community and surrounding area such as working at the Idaho Foodbank, dessert auction to raise money for families in need, Teens Against Tobacco Use (TATU), as well as, all of Iona’s events (i.e. Iona Days, Easter Egg Hunt, Halloween Trunk-or-Treat) and Idaho Falls Water Week celebration teaching 5th and 6th graders about water. Summary: In spite of spending over $140,000 on refurbishing the water tank I’m proud to report that Iona is thriving. The City is financially strong with approximately $900,000 in our checking and savings accounts. I would like to thank all of those wonderful people of Iona who volunteered their time and efforts toward some type of service in 2017 for the City. I will miss you all.